I have been back reading my blog today. And I have decided. I 'm going to take this seriously. I mean, If you look back with me, I have this on and off relationship with blogging. And if you're like me, you know what I mean. For those who don't get it. 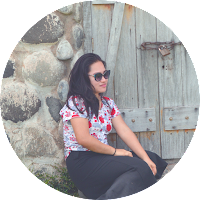 Here's why I have a love and hate bond with my blog. Blogging is mostly personal. It's about one's opinion of certain thing or event. Whoever your audiences are, blogging is just the same everywhere. And as for me, it's about me life. I am a millennial, a part of Gen Y, who grew up along side the modern technology that we have today. Young as I was, I started documenting my life in my small paper diary and when I learned how to use the computer and internet - my blogging life began. During the adolescent stage, life in reality was just happening. So my emotions with revealing everything online, to people I don't know, - and even to people who are close to me - seemed scary and so unstable. Maybe just like you - I once was scared of what people would think about what I think. I was scared that they would comment on me negatively.. Or would think of me as someone so liberated and worldly. And maybe just like you - I once was envious of the life other millennial people live. I wondered where they get the courage to show everything they have without batting an eye. I wondered how they could live up to what they say even when there were a whole bunch of other people who disagree. I couldn't understand it then, but as I learned to live my own life, I've also learned how live life. I realized that I have been comparing my life to other people when in fact I have my own unique life to live. And it never made me happy, but instead it made me greedy to have more than what I deserve. God has given us a unique life to live. He has given us the freedom to choose the direction in life we what to take. In some ways, we create our own life. God allows them to happen for a reason. It may be to teach us a lesson or to encourage other people we may never know. So with that said, I guess my battle with blogging on and off is coming to a close. I mean, I'm taking this seriously now. REALLY! No matter what other people may say, I won't be regretting the fact that I could browse through this and enjoy my endless banter about my crazy beautiful life. I will aim to be more positive in what I say. I will stop thinking that my life is boring and un-eventful. I will be grateful for what I have and will gladly share it to people who matter most.